Ahh the Mascot, that adorable cuddly icon of any given tournament, promoting peace and love. Or maybe you are of the view that they are disease ridden parasites that plague our beautiful game, quite an extreme but possibly valid viewpoint. Here at SFG towers we will be taking a rather more neutral bordering on positive stance of the Mascot. 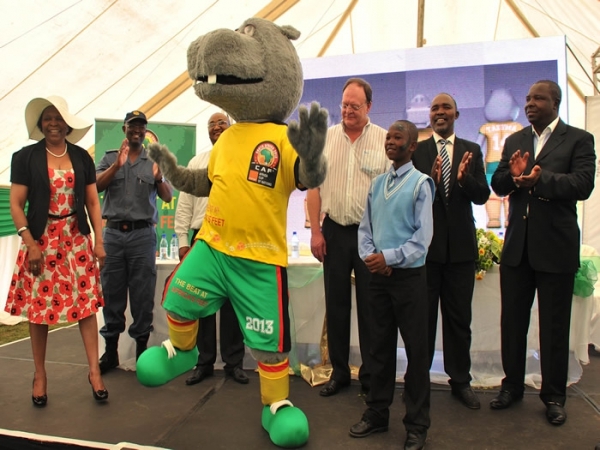 This time the African Cup of Nations 2013 ran a competition amongst South African school children to design the Mascot, and so the children let their colourful imaginations run wild. After much deliberation the winner was announced, the Mascot destined for greatness/to be forever forgotten in the 2013 tournament will be Takuma, the friendly and cuddly Hippo. Seriously. Now for (slightly) more serious talk….about balls. Ahem. 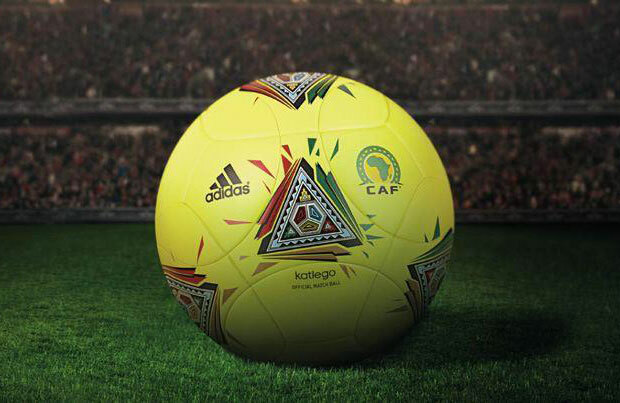 The official AfCoN 2013 football will be produced by Adidas as is now customary. This time it is the Katlego and can be seen in the picture above. Whether or not the Katlego (which means success in the SeSotho Language) will replicate the resounding success of the Jabulani remains to be seen, the ball could not be reached for comment. However, we will say this, the colours are eye catching. Let us hope that the football during the tournament matches it!